Next up for us in the wonderful intimacy of Monarch and their phat Void sound system is special guest Trent Cantrelle, who in the last couple years has been on fire in our orbit wtih stand out performances at Burning Man and our Halloween bash. We’ve been itching to get him back in this kind of setting and this is sure to be hot! Pre-sales starting at only $10! Get in there! New Orleans born Los Angeles based DJ producer Trent Cantrelle has immersed himself in the world of electronic music for the last 25 years. Whether it’s behind the decks at festivals like BPM and Coachella, clubs in Ibiza and South America, or hosting his underground Sounds Like parties in Los Angeles, the veteran DJ consistently brings the freshest sounds to tastemakers and music fans alike. Throughout his time in the industry Trent has racked up an accolade of releases on many top labels with current outings on Nicole Moudaber’s Mood Records, Yoshitoshi, Defected, Toolroom and more. His chart topping works are found in the record boxes of industry heavyweights like Richie Hawtin, Marco Carola, Carl Cox, Adam Beyer and so on. His acclaimed weekly radio show Sounds Like Radio can be heard across the globe on stations such as Sirius XM, Pioneer DJ Radio, Radio FG and many more. 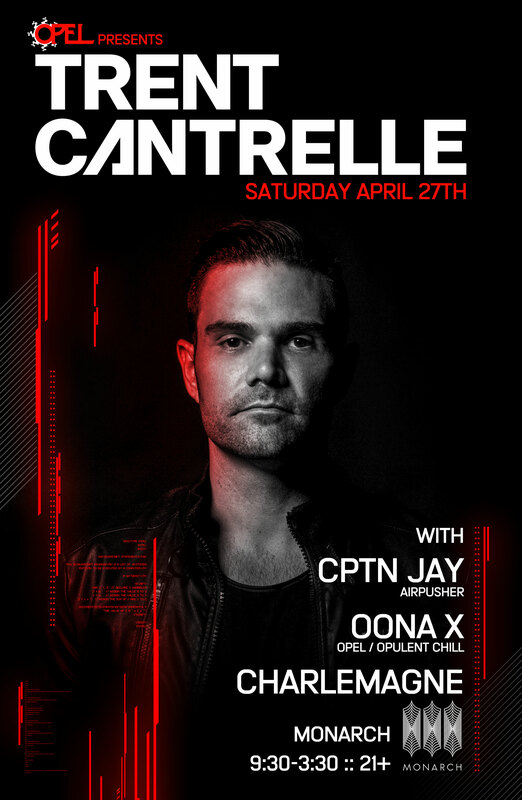 Known for his extended sets Trent Cantrelle is a true DJ in the purist form specializing in the art of dance floor storytelling blurring the lines between Techno and House. The New Orleans born / LA-based DJ is no stranger to curating uniquely crafted sounds on the dance floor, and he’ll continue to influence bringing his Sounds Like party to homes throughout the US with his new monthly show on SiriusXM’s Chill station beginning mid-September. Cantrelle has been busy in the studio as of late, adding to his already-impressive collection of singles with tracks like “All Of Them” on the legendary Yoshitoshi Recordings getting heavy support from Richie Hawtin, Marco Carola and Carl Cox, and the chart topping “Systematic Addict” on Toolroom. His upcoming “Android Bordello” EP will be released via Nicole Moudaber’s techno imprint Mood Recordings.